VGP Compliant: Biodegradable, Minimal Eco-Toxicity, Non-Bioaccumulative. 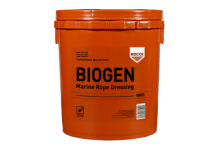 BIOGEN WIRESHIELD is a VGP compliant lubricant for wire ropes and umbilicals. 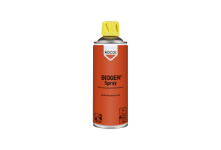 BIOGEN WIRESHIELD has been licenced to European Ecolabel (Licence no. UK/27/013). 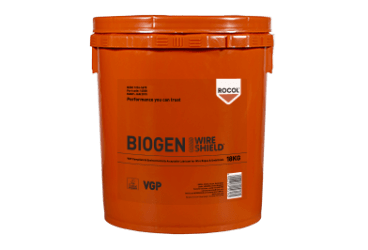 European Ecolabel is independent verification that BIOGEN WIRESHIELD meets the most stringent environmental standards and the US VGP regulations. 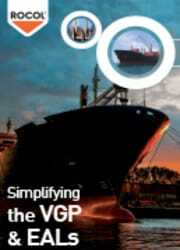 With the introduction of the latest issue of the Vessel General Permit (VGP), it is now a requirement for ship operators to use Environmentally Acceptable Lubricants on wire rope and umbilical applications. The regulations are enforced by law and penalties include significant fines and imprisonment. Find out more about the regulations and what impact they will have on lubricant usage. Environmentally Acceptable Lubricants are often quoted as having reduced performance capabilities when compared to traditional mineral oil lubricants. A No Compromise approach has been taken to the development of BIOGEN WIRESHIELD, leading to its performance capabilities being equal to or greater than mineral oil competitors. In-house laboratory tests and extensive field trials with some of the largest wire rope and umbilical users and manufacturers in the world have repeatedly proven the quality of BIOGEN WIRESHIELD. 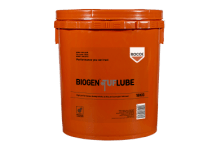 BIOGEN WIRESHIELD is a VGP Compliant Environmentally Acceptable Lubricant (EAL) with no loss of performance. The usage of EALs is enforced by law. BIOGEN WIRESHIELD carries the European Ecolabel and is designed for use on wire ropes and umbilicals.